In the climate alarmists’ crusade against CO2, only the most delusional still think wind and solar power adds anything to their arsenal. The war on carbon dioxide gas isn’t about to end soon, and shows no sign of relenting. These people are zealots, after all. The result being that any generation system involving coal or gas is going to be singled out for destruction, by eco-zealots and the politicians that pander to them. Accordingly, conventional generators in Australia will remain under threat, with the prospect of some form of emissions trading, ‘carbon’ tax or penalty on the CO2 they generate. For now, that threat hangs over them like the sword of Damocles and means that, without Federal or State government support, the chances of new coal-fired power plants being built is pretty slim. 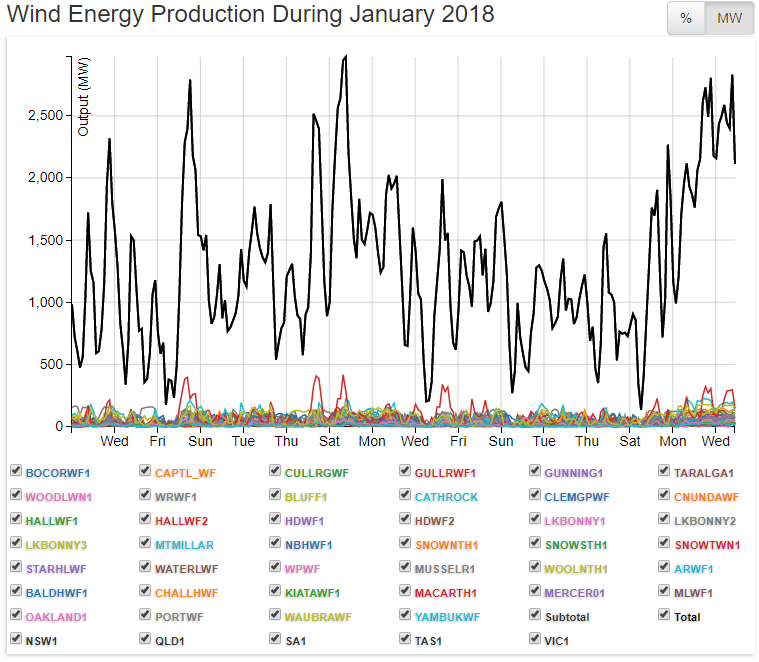 With a grid on the brink of collapse, Australian governments are terrified at the prospect of another coal-fired generator being driven out of business by heavily subsidised and chaotically intermittent renewables. The Federal government is likely to use its new “divestment” power to prevent the major generators from closing another coal-fired plant. But that approach does little more than keep the grid from collapsing, in the short-term. The only generation source capable of satisfying climate alarmists is nuclear power. As we have said repeatedly, nuclear power is the only stand-alone power generation source which is capable of delivering power on demand, without CO2 emissions being generated in the process. Perversely, Australia is the only G20 country with a legislated prohibition on nuclear power generation, notwithstanding it is in the top 3 uranium exporters and has the largest known reserves. For the time being, the emissions obligation that formed the central part of the National Energy Guarantee (the part that would have resulted in an effective 42% RET) has been crushed. What remains is the reliability obligation. An obligation that imposes substantial financial penalties on retailers who fail to contract to meet their customer’s daily demands, in advance. Now that reliability is the only focus of energy policy under the NEG, sources with a 100% capability of delivering power, irrespective of the time of day or the weather, will necessarily attract attention. The likelihood that some type of CO2 emissions penalty is over the horizon means that the case for nuclear power in Australia becomes even more obvious and compelling. Nuclear power was likely viable in Australia and could become the lowest-cost, emissions-free generation source, a research paper by the pro-nuclear Energy Policy Institute of Australia says. The economic flow-on benefits to the national and regional economies could be substantial, including enabling Australia’s ­energy-intensive industries to compete strongly in world ­markets. The EPIA said it would take about 10 years for nuclear power to be operational in Australia. The first step would be lifting a legislative prohibition, which should be done with bipartisan support, the institute said. EPIA chief executive Robert Pritchard said lifting the prohibition in the Environmental Protection and Biodiversity Conser­vation Act would enable detailed studies to be carried out. “It would not cost taxpayers anything and would increase competitive tension with other generation technologies,” he said. Lifting the prohibition was recommended by the 2016 ­Nuclear Fuel Cycle Royal Commission in South Australia. Mr Pritchard said Australia was the only G20 country to have such a prohibition, despite being the world’s third largest supplier of uranium. “Changing legislation would not mean approving any specific project but it would allow preparatory economic, technical and environmental studies to be made in order to seek planning and environmental ­approvals,” Mr Pritchard said. Scott Morrison said he was not opposed to nuclear but he has not committed to lifting the prohibition on nuclear energy in Aus­tralia, which is currently before the Senate. The Prime Minister said nuclear had to demonstrate it was economically viable. Renewable energy supporters claim dramatic falls in the cost of wind and solar make them the cheapest option. But the EPIA said nuclear energy could be cost-competitive when all factors were taken into account. “Cost comparisons of individual generation technologies are meaningless unless full system support for each generation source is factored in to ensure equivalent system reliability and customer electricity supply continuity,” the EPIA said. There are 451 reactors now operating in 30 countries, generating 11 per cent of the world’s electricity. Another 50 reactors are under construction in China, India, Japan, Pakistan, South Korea, Bangladesh and the UAE. The Australian followed with this editorial. Voters concerned about climate change — and the reliability of affordable power — should be turning their minds to the nuclear option. The debate would take off, given a bipartisan show of courage by political leaders. As a first step, MPs should remove federal and state legislative bans on the building of a nuclear power plant. Australia’s share of total greenhouse emissions is small but that should not prevent us from taking an active part in the growing international discussion about nuclear energy. In response to this month’s Intergovernmental Panel on Climate Change’s 1.5C report, Chief Scientist Alan Finkel said the world should look squarely at the goal of a zero-emissions planet, then work out how to get there while maximising economic growth. This, he said, would include serious consideration of other options modelled by the IPCC, including biofuels, catchment hydro-electricity and nuclear power. A largely emissions-free source of electricity, nuclear power does not suffer the intermittency that bedevils the current crop of renewable energy options. Nuclear is technology-rich, energy-dense and has a lower land-use footprint than alternatives such as solar and wind. It has a better safety record than the popular imagination would suggest. Australia has vast reserves of uranium, making us a global leader in supply. Despite a troubling report on a radiation leak at the Australian Atomic Energy Commission, covered in today’s news pages, public apprehension about nuclear accidents is generally overblown. Our stable geology means we should not fear a local version of Japan’s 2011 Fukushima disaster. The potential is that nuclear technology for power generation will evolve rapidly over coming years, including smaller, cheaper and safer designs. There may be good reasons why nuclear power is not a short-term answer for Australia, including cost. Scott Morrison has said he would have no problem with nuclear power, were he convinced it would lower household electricity bills. But a nuclear industry could be of long-term significance for Australia, including in terms of defence technology, where nuclear-powered submarines are a compelling possibility. If IPCC recommendations are to be taken seriously — notably, the closure within decades of all fossil-fuel power generation without carbon capture and storage — nuclear has to be a global option. The IPCC has said that the role of nuclear power increases in most modelling if the world is to limit warming to 1.5C by 2050. According to the International Atomic Energy Agency, nuclear power has already avoided about 68 gigatonnes of carbon dioxide emissions between 1970 and 2015, equal to the entire actual global emissions from the power sector between 2010 and 2015. The IAEA says nuclear generation can make an important contribution to reducing greenhouse gas emissions while delivering energy in the increasingly large quantities needed for global development. Donald Trump has made continued research and development of nuclear energy a priority to safeguard America’s technological edge. In China, an emerging nuclear energy superpower, a recent scientific paper argued massive development of its nuclear energy sector was indispensable to achieve the 1.5C target. The paper said this would require nuclear power to account for 28 per cent of China’s power mix by 2050. We cannot afford to be absent as the nuclear debate gains momentum. The Australian’s editor – sounding more like an ageing anti-nuclear dinosaur, than a publisher trying to open sensible debate about nuclear power – talks about “Japan’s 2011 Fukushima disaster”. 112 were wind industry and direct support workers (divers, construction, maintenance, engineers, etc), or small turbine owner /operators. What appears above is something you will never see from a nuclear power plant. 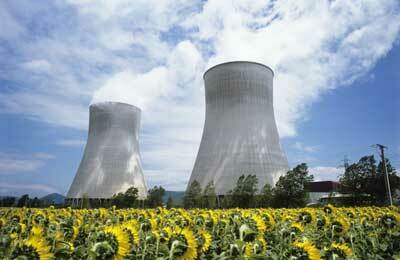 But it’s not just the – 24 x 365, whatever the weather – reliability of nuclear power that makes it attractive. 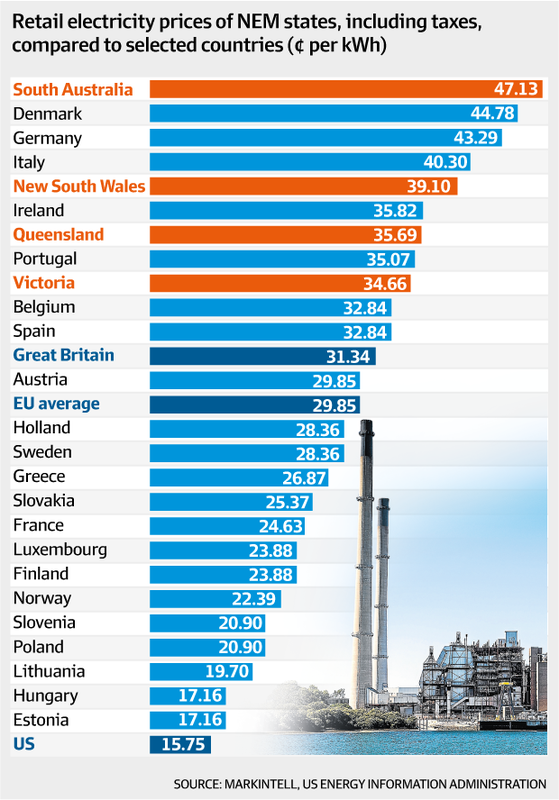 The cost of the power generated by nuclear plant is peanuts compared to what Australians are paying the power now. The classic furphy attached nuclear power is that it’s much more expensive than wind and solar. True it is that wind power is ‘cheap’ – when the wind stops blowing (it can’t be bought at any price); the same can be said of solar power when the sun drops over the horizon, as it tends to do, every single day. So, ‘comparing’ nuclear power with wind and solar doesn’t really involve a ‘comparison’, at all. Note that Thorcon Power says that, given “efficient and evidence based” regulation, molten salt reactors, (MSRs) which are agile in responsive to demand, can be built for less than the cost even of coal burners that do not attempt to capture their CO2. It follows that any country can provide 100% zero emissions power without needing nonsensical carbon capture coal burning, biomass, wind, or solar. 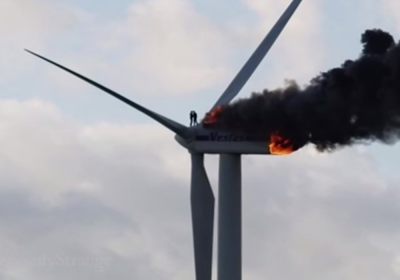 In fact, once you have that, even existing wind turbines are utterly worthless. Theoretically, wind turbines in an all-gas-turbine power supply can save you burning some gas.The same goes for solar. But in an all-nuclear, they can save you nothing. MSR gaseous emissions are zero, they are immune to meltdown and the name is Thorcon because a fair amount of the power comes from thorium, which is more common in the Earth’s crust than uranium. They are meltdown immune because if the molten solution (in other fluorides) of uranium and thorium fluorides gets too hot, for instance if its pumping power fails, it has a “fuse” to dump the entire fuel load into a basin that arrests the nuclear reactions. The fuse is very simple, it’s a plug of the solvent that is kept solid by a fan. It melts at a temperature hundreds of degrees lower than the working fluid’s boiling point, but far higher than the atmospheric boiling point of water, and presumably a little higher than the reactor’s highest working temperature. The fan that keeps it cold enough is powered by the same source (the reactor’s power output) as the circulation pumps. Winston Churchill, when Chamberlain came back from being bamboozled by Hitler, was NOT an ‘alarmist’. I also note that the Crusades were a failure, unlike the naval battle of Lepanto. I would even allow the idea that the desire to save the biosphere from burning ANY more fossil carbon is jihad, a Holy War! An Eyre Peninsula nuclear power station would be a “game changer” for South Australia, providing cheap electricity, and power for water desalination to support a new agricultural irrigation scheme. A White Paper by a US scientific team from the Massachusetts Institute of Technology (MIT), released by Senator Cory Bernardi on 24 October, shows possible nuclear power options that will enable South Australia to “become a major global hub for clean energy and high-value crops in the 21st century”. Encouragingly, the scientists “surmise that similar results would apply to other Australian states as well as the country as a whole”, which should be no surprise, as nuclear power’s enormous energy density guarantees superior economic outcomes over diffuse and intermittent alternatives such as wind and solar. Building a nuclear industry in South Australia will enable them to build and service nuclear submarines here (maybe build the reactors in France). Maybe that has been the intention all along?